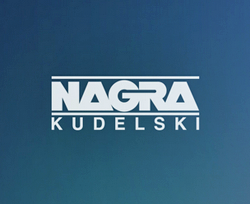 NAGRA, a Kudelski Group (SIX:KUD.S) company, has announced that the firm's content protection solution NAGRA CONNECT is securing CANAL+ Group brand-new 4K Ultra HD service, which launched on January 18. 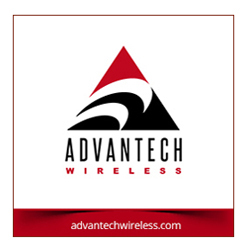 CANAL+ Group is the leading provider of payTV services and the top multi-channel platform and distributor in France. With this solution, NAGRA ensures content protection via satellite broadcast, Over-The-Top (OTT) or within the home in addition to access control for user authorized by CANAL+. The announcement follows the extension of both companies’ content protection collaboration in September 2017. The new service delivers a variety of high-quality 4K Ultra HD content to CANAL + viewers via satellite broadcast as well as via OTT to multiple devices using the operator’s new G9 set-top box. It also brings a number of new benefits and features to consumers including premium TV in every room, improved performance and stability in the user experience, the availability of live and recorded services on other devices via WiFi into the home. NAGRA CONNECT is part of the NAGRA Security Services Platform that drives efficiency and security across all screens. NAGRA CONNECT is a single, converged CAS/DRM client that fully supports multiple networks, devices and use cases, while reducing complexity and cost. It can be implemented on set-top boxes (STBs), open devices or selected Connected TVs, and includes the ability to secure streaming services such as CANAL+ Group’s MyCanal to set-top boxes. It is approved by third-party auditors and Hollywood studios for the protection of 4K Ultra HD content. Philippe Rivas, CTO, Distribution, at CANAL+ Group said that by deploying NAGRA CONNECT to secure the company's newest service, the seamless deployment of one solution on multiple networks while meeting the security requirements for high-value content is now possible. Thierry Legrand, SVP Sales EMEA at NAGRA, commented that NAGRA CONNECT is the firm's flagship content protection solution for connected networks and hybrid environments and is designed for the multi-network, multi-device, multi-use case reality of today’s most advanced payTV operators, all the while reducing complexity and cost.